After the huge response to our last Askamore Photographic Journal help request, here is another school pic that people might be able to help us with. 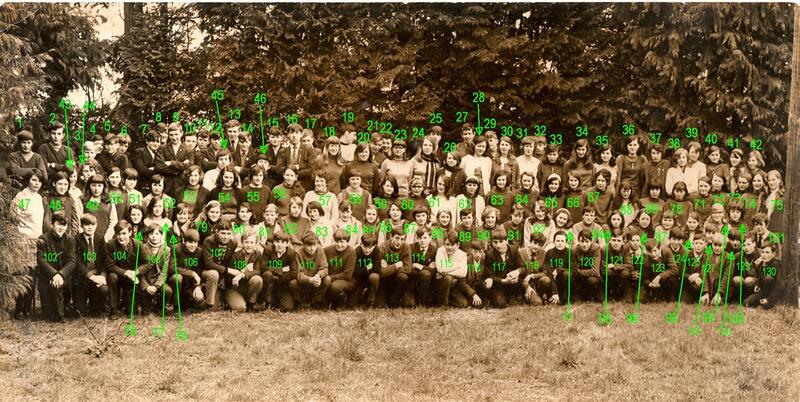 It’s a Carnew Vocational school pic from c. 1970. Can you help us identify people please? There’re only 130 in this picture! This entry was posted in Community Council, Photographic Journal and tagged Askamore photographic journal, Carnew Vocational School, help needed by admin. Bookmark the permalink. yes i have that photo too and have a lot of names on back of it.im in it too.i.e kathleen murphy,ballingate carnew,,,kathleen sinnott now.